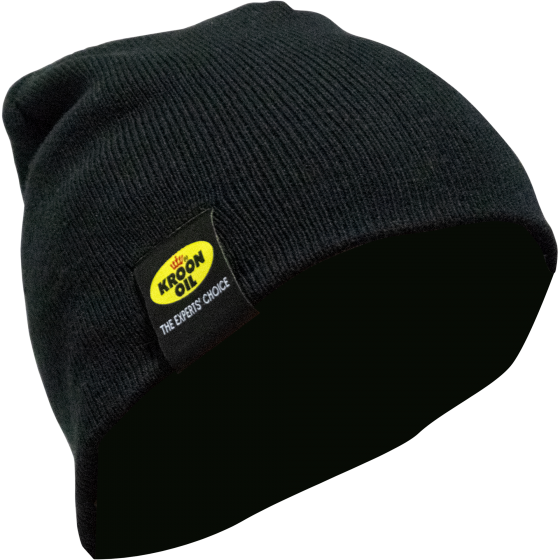 Beanie with comfortable artificial fur lining! This comfortable knitted hat comes in black, with grey edging. Finished with a discreet metal plaque bearing the Kroon-Oil logo. 100% acrylic. Kroon-Oil supplies quality lubricants and maintenance products. We also supply various speciality items including a constantly changing range of promotional items.